These Wise Blend Stripe Cushion Crew socks are remarkably comfortable socks. Featuring a half cushion foot for a extra level of comfort in heavy winter shoes. 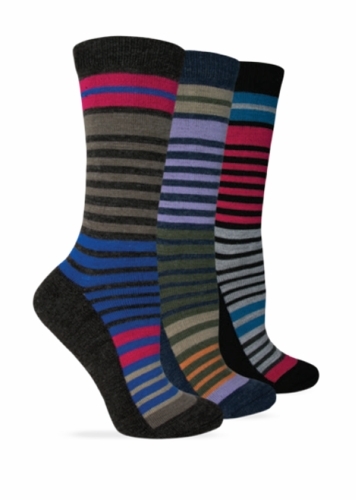 They also feature a beautiful colorful design and a wool blend to keep you fashionable and warm this season.